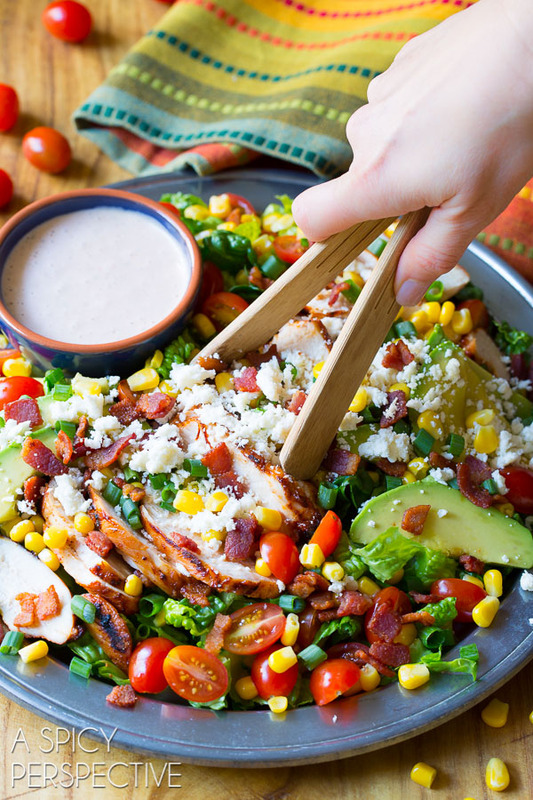 Mexican Grilled Chicken Salad: loaded with veggies and topped with spicy tomato ranch dressing. This is not your average Grilled Chicken Salad recipe! I mean, really. Have you ever seen a more satisfying looking salad? We’ve been taking measures lately, to make sure we include more and more fresh raw produce into our diet. I would guess we enjoy a “dinner salad” at least twice a week, if not more. I’m also trying to eat at least one raw vegetable dish a day, so often I enjoy a salad at lunch. There’s something marvelous about cool crisp veggies topped with hot protein, don’t you think? 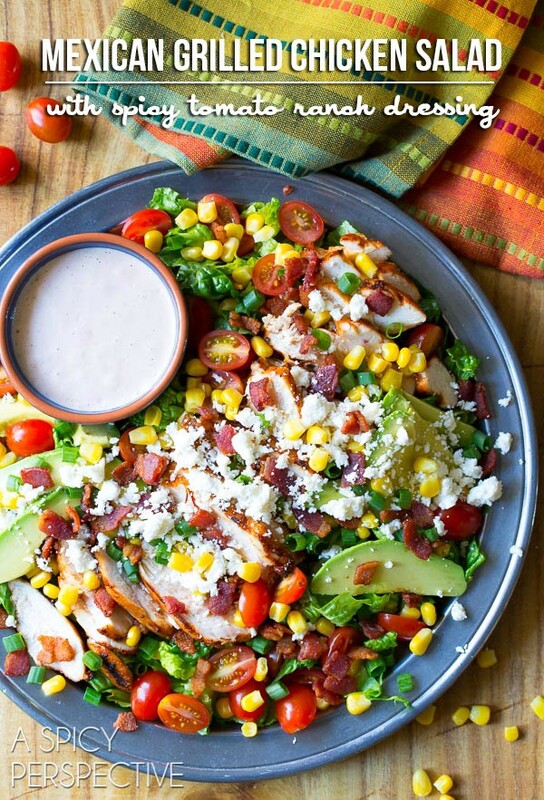 If I could demonstrate how I want to eat (all the time right now) on one platter, it would be this Mexican Grilled Chicken Salad. Veggies, veggies, and more veggies, topped with juicy seasoned grilled chicken, bacon, and crumbly cheese. Then smothered in a creamy spicy tomato ranch dressing. The beauty of this salad is that it’s not only healthy and delicious, it’s also so darn easy to prepare. I sprinkled zippy Old El Paso Taco Seasoning over the chicken. This eliminates the need for all sorts of herbs and spices in one fell swoop. The taco seasoning coats the chicken, creating a vibrant crusty finish once the chicken is grilled. For the salad, I piled the steaming chicken on a bed of crisp romaine lettuce and cuddled it up with ripe avocado and sweet grape tomatoes. Then I sprinkled fresh corn, crumbled bacon, chopped scallions, and crumbly queso fresco over the entire Mexican Grilled Chicken Salad like magic flavor confetti! I kind of sprinkled it all over the floor as well. All these ingredients were a little too exciting if you know what I mean. Our Mexican Grilled Chicken Salad is truly a feast for all five senses. 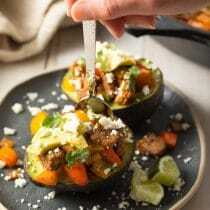 It’s an aromatic, crunchy, and colorful dinner option that is perfect for spring and summer cooking. Finished with a simple 2-ingredient spicy tomato ranch dressing, this grilled chicken salad is at the very top of my shortlist right now. 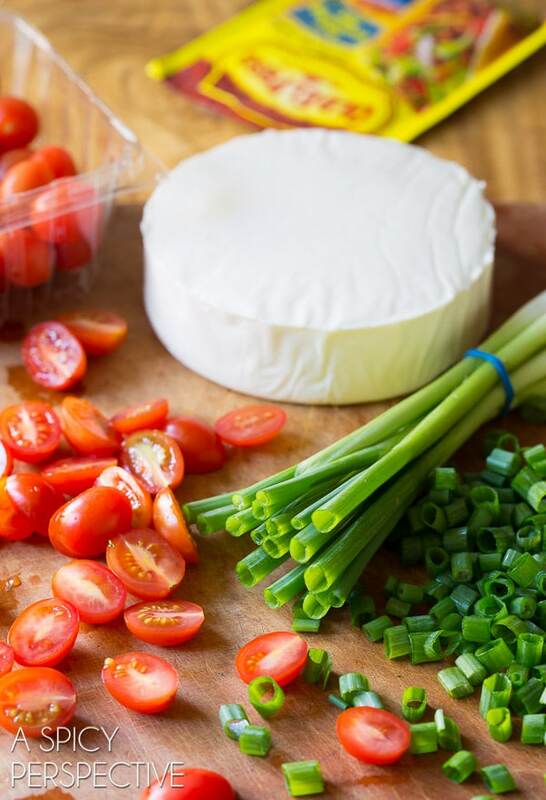 Queso Fresco is a creamy Mexican Cheese that can be translated to ‘Fresh Cheese’. 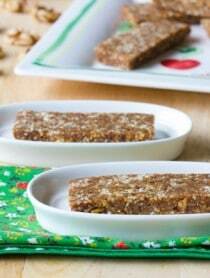 It is traditionally made from cows milk and is aged for a couple of days to give it that fresh taste! You can find this cheese next to the sour cream and cheese sticks in your grocery store. Or if there is a Mexican store near you they will most likely have some. 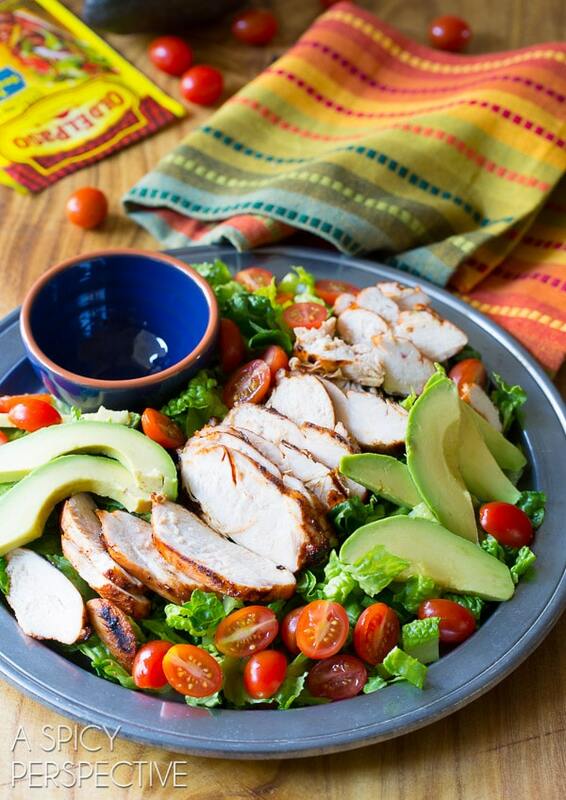 See The Recipe Card Below For How To Make Mexican Grilled Chicken Salad. Enjoy! Preheat the grill to medium heat. 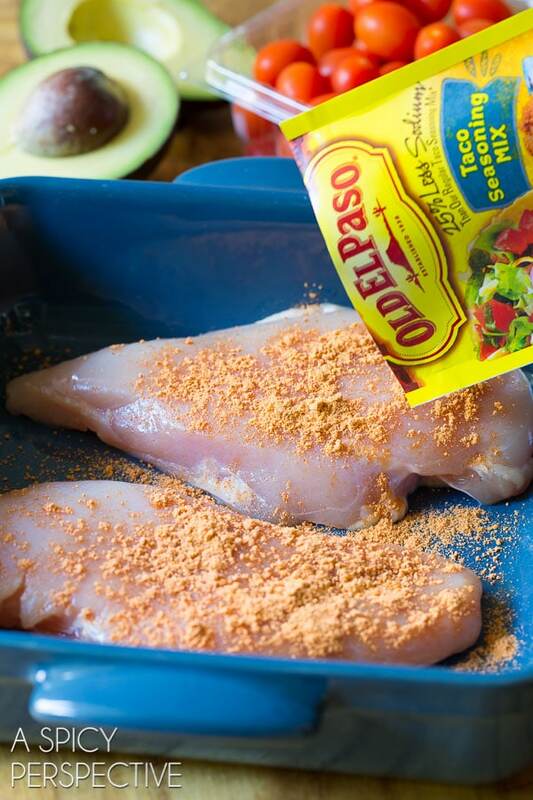 Place the chicken breasts in a baking dish and sprinkle with Old El Paso Taco Seasoning. Turn to coat the chicken on all sides. Chop the lettuce and prep all other vegetables. Grill the chicken for 5 minutes per side. Then allow the chicken to rest for at least five minutes before slicing. Meanwhile, place the ranch dressing and the salsa in the blender and puree until smooth. Pile the chopped lettuce on a large platter. 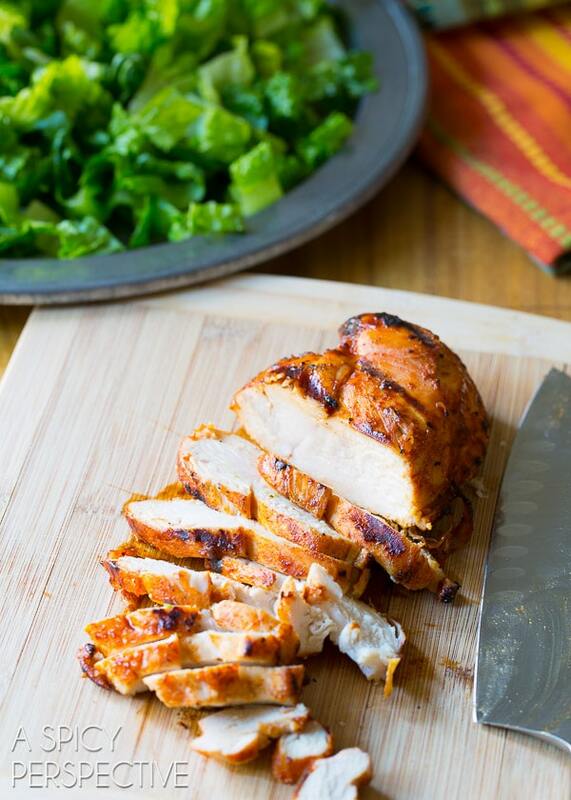 Slice the chicken and arrange over the lettuce. Then arrange the sliced avocados and tomatoes around the chicken. 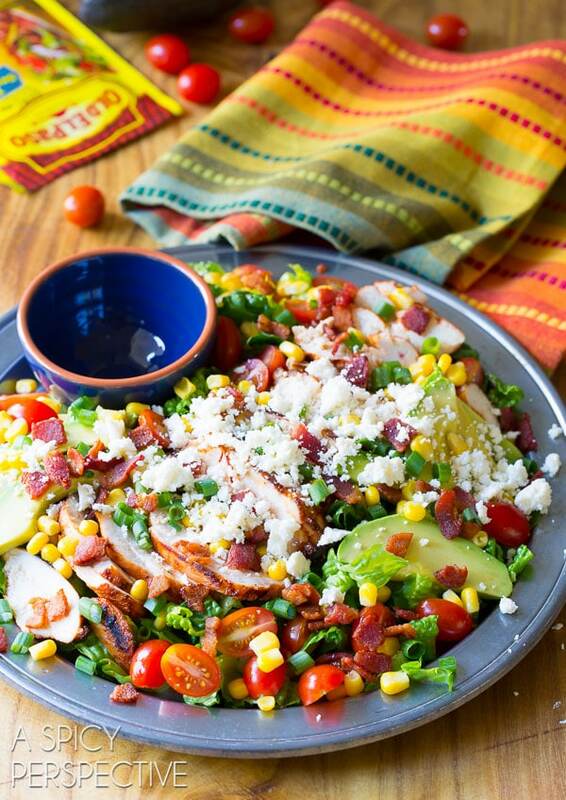 Sprinkle the corn, chopped green onions, crumbled bacon and queso fresco over the entire salad. Serve immediately with a side of spicy tomato ranch dressing. Disclosure: This post is sponsored by Old El Paso. All opinions are my own. Excellent salad. Made it for lunch using homemade taco seasoning I had in my pantry. The dressing was fantastic even though I was too cheap to get the “good stuff” and went with a cheapie from ALDI. Left off the cheese to be a little healthier. 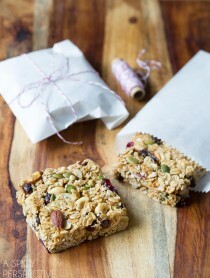 Next time, I plan to crumble some tortilla chips on top for extra crunch! Together, one I will make again!! This salad looks amazing! I love how colorful it is! Pingback: Mexican Shredded Beef in the Instant Pot or Slow Cooker, delicious either way! This looks amazing fresh n jus yummy!! This is a beautiful & yummy-looking salad! 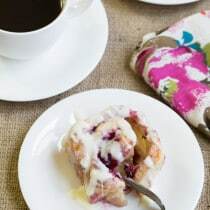 I want to try it with some of our fresh garden produce. But I don’t know what “queso fresco” is (except “fresh cheese” of course). I’ve never seen this in my grocery store. 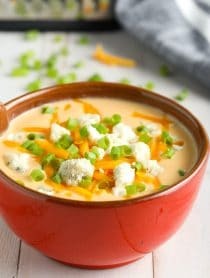 Can you tell me what kind of cheese it is, or what I could sub that would be comparable if I can’t find it? Thanks!! Wow, I wouldn’t know where to start! Can I just dump the entire thing in my mouth?! Looks incredible. This salad is so full of textures and flavors, I love it! This is simply amazing, Sommer! Love the bright veggies! Perfect for summer! I can already tell I’m going to have this one one repeat. I made this salad for Sunday night’s dinner and oh my word! It was fantastic! I grilled the chicken along with two ears of corn and it was amazing. Definitely my new favorite salad. I’m not big on creamy dressings but the addition of the fresh salsa to the ranch was perfect. The only bad thing is there was not one crumb left in the bowl so no leftovers for lunch today! 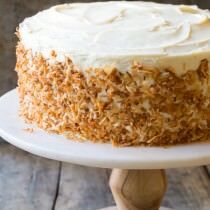 Gosh, that looks so good right now!! I love the goal of making sure you eat at least one raw vegetable dish a day – I need to adopt that. Starting with this salad!! This salad is right up my alley!!! 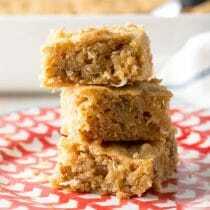 I need to make this ASAP!!! This is just gorgeous and so flavorful! Love all the color! I absolutely need this salad for lunch right now! I love that it has everything and each component balances and complements the next. Amazing! Love this! You know how I feel about Mexican food- yummy! Looks like a perfect meal to me! A rainbow on a plate!